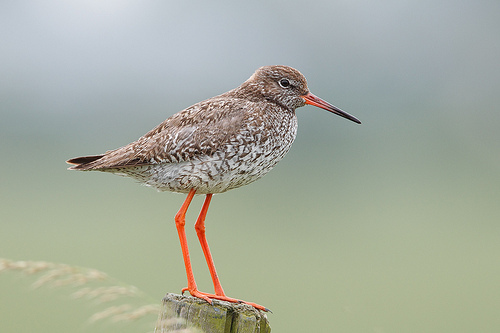 The Redshank fortunately is still a common bird in the Dutch pasture. You may often find him in the ditch edges, where it searches for insects and other food. The Redshank is known for its red bill and its red legs, but also by its rowdy behaviour. 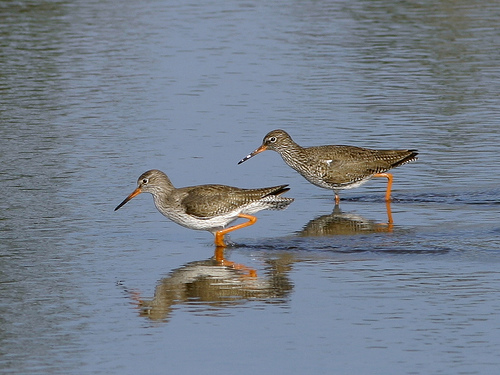 The Redshank has red legs instead of green and is slightly browner. The Godwit is larger, has dark legs and a much longer beak than the Redshank.